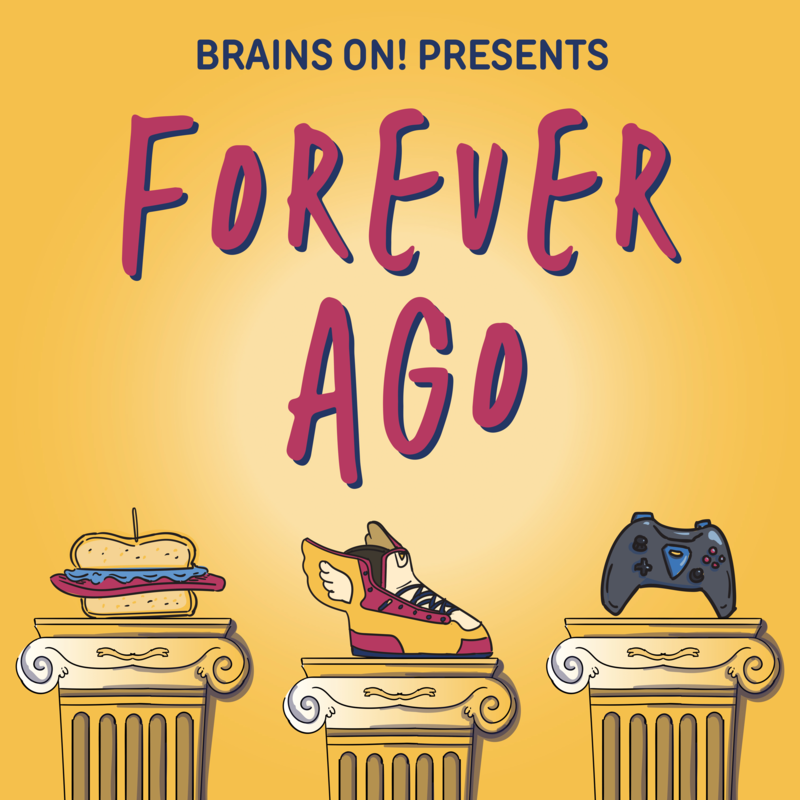 Brains On presents Forever Ago, a history show for the whole family! Every episode explores the origin of just one thing — like sandwiches, video games, clocks and more — while teaching listeners to think critically about history. Forever Ago and Brains On! Are made possible by the donations of listeners like you. Consider donating to make more shows like these possible. Listen to episodes below or scroll down to find the show on your favorite app! Do you have a suggestion for a Forever Ago episode topic? What about artwork inspired by an episode? Visit our submission page. You can also find Forever Ago on Twitter, Instagram, and Facebook. Click here to join the Brains On Fan Club to be notified of new episodes!